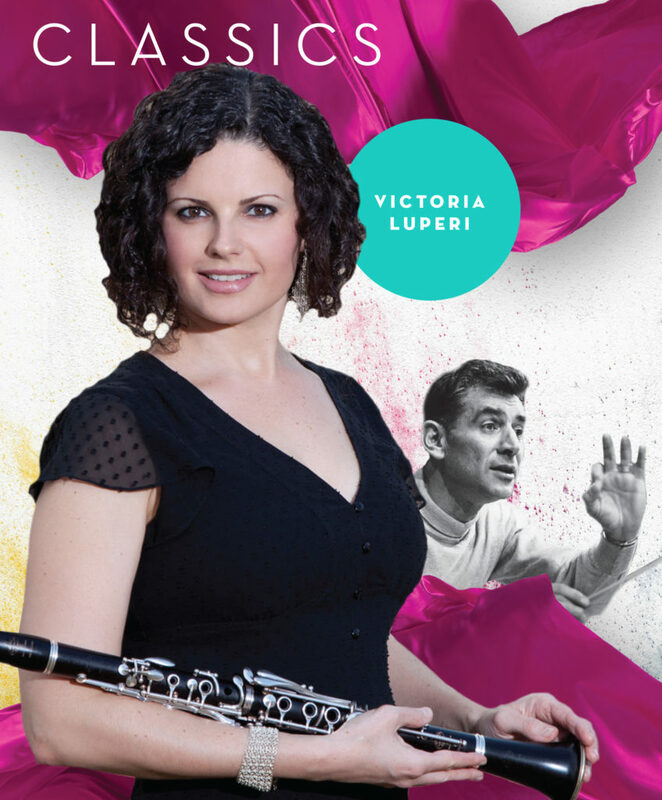 Signature Symphony at Tulsa Community College opens the 2018-2019 Classics season with the return of Victoria Luperi to the Signature stage. Luperi, who is married to Andrés Franco, Signature Symphony at TCC music director, is associate principal clarinet with the Pittsburgh Symphony. The “Symphonic Dances” featuring Victoria Luperi performance is 7:30 p.m., Saturday, Sept. 22 at the VanTrease Performing Arts Center for Education on the TCC Southeast Campus at 81st Street and Highway 169. “Victoria performed alongside the Signature Symphony my first year as music director. So, when we polled our audience members and fellow musicians to share their favorite compositions, guest artists, and concert themes, I was thrilled to find they enjoy my wife and her music, as much as I do,” said Signature Symphony at TCC Music Director Andrés Franco. The 2018-2019 season, “A Season of Favorites,” marks the 40th anniversary for Signature Symphony at TCC, previously known as Tulsa Little Symphony and Sinfonia. Every TTCU Pops and Classics performances this season incorporate fan favorites from the past four decades. “Shining the spotlight on the very finest local talent continues to be a high priority, and the Signature Symphony will continue to invite community partners, students, artists, and our audience members to engage with our orchestra family in various outreach programs,” said Franco. Signature Symphony continues to strengthen the orchestra’s connection to the community by exploring new and expanding partnerships with the Gilcrease Museum, Jewish Federation of Tulsa, Oklahoma Center for the Humanities, Philbrook Museum, Tulsa Ballet, Tulsa Historical Society and Museum, Tulsa Opera, and the University of Tulsa, among others. Since its formation in 1979, the Signature Symphony at TCC has been committed to providing rich musical experiences through live performances, as well as music education and community outreach. Before every Classics concert, our Open Rehearsals allow music lovers of all ages to experience professional orchestra rehearsals and enjoy educational interactions with our conductor, musicians and guest artists. The Open Rehearsals are free and begin at 6:30 p.m. on Sept. 20, 2018; Nov. 1, 2018; Jan. 24, 2019; March 14, 2019; April 18, 2019. Tickets for 2018-2019 are on sale now for the Signature Classics and TTCU Pops series. A season subscription offers a substantial savings over purchasing individual tickets. Season ticket prices start at $60. For information on the 2018-2019 season including performance dates and times or to purchase tickets call 918-595-7777 or go to www.signaturesymphony.org. This project is supported in part by the Oklahoma Arts Council, which receives support from the State of Oklahoma and the National Endowment for the Arts.